Awhile back, I wrote an article on the cognition “igniting” benefits of intermittent fasting. Substances that literally IGNITE YOUR NEURONS. 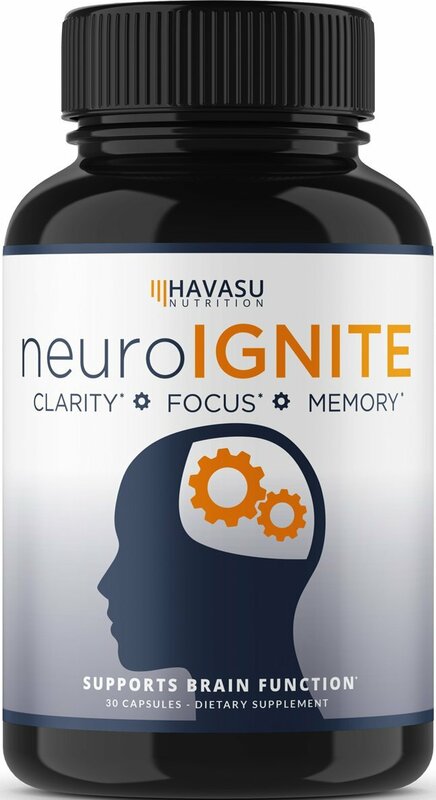 Brought to us by Havasu Nutrition, neuroIGNITE simply, straightforwardly “SUPPORTS BRAIN FUNCTION.” Awesome! The 3 primary benefits advertised by Havasu include Clarity, Focus, and Memory, and, judging by the ingredients, they mainly come in the form of herbal adaptogens. Havasu does us a solid by skipping the proprietary blend BS, yet cheapens the deal with its almost across-the-board low dosages. Bacopa Monnieri (20% bacoside) – Decently potent extract of a classic nootropic adaptogen for memory, learning, and stress. Not the best extract standard but decent. More on Bacopa Monnieri. Happy as a bug chilling on St. John’s Wort. St. John’s Wort (0.3% hypericin) – The ultimate happy-time herb, standardized at 0.3% hypericin for significant serotonergic brain boosts. 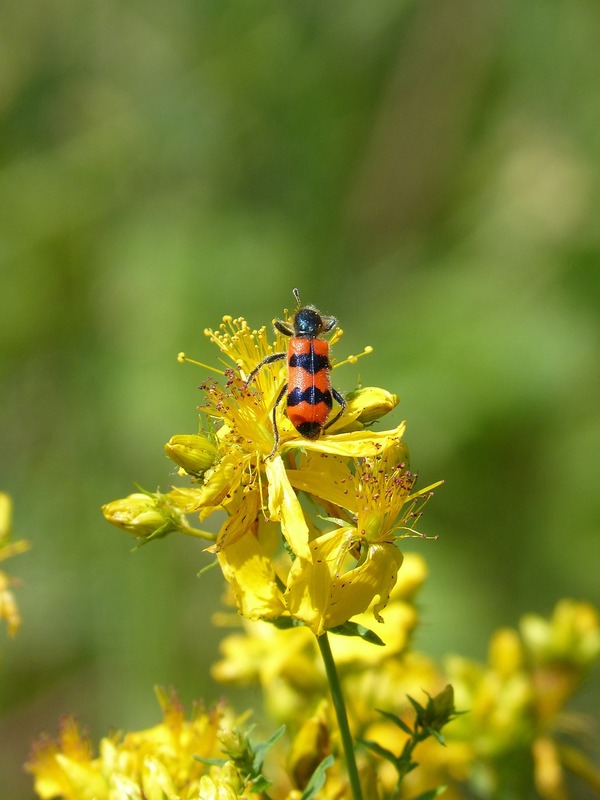 More on St. John’s Wort. DMAE Bitartrate – Not the best nootropic but may neuroprotect against hyperattention and age-related neurodegeneration, maybe. More on DMAE. Ginkgo Biloba (24% ginkgo flavone glycosides) – Circulation, working memory, and dopamine — Ginkgo is an ancient nootropic herb with various popular uses. More on Ginkgo. Phosphatidylserine 20% – That PS is so hot right now, so hot that even the FDA couldn’t deny the neuroprotective value of compound. More on Phosphatidylserine. 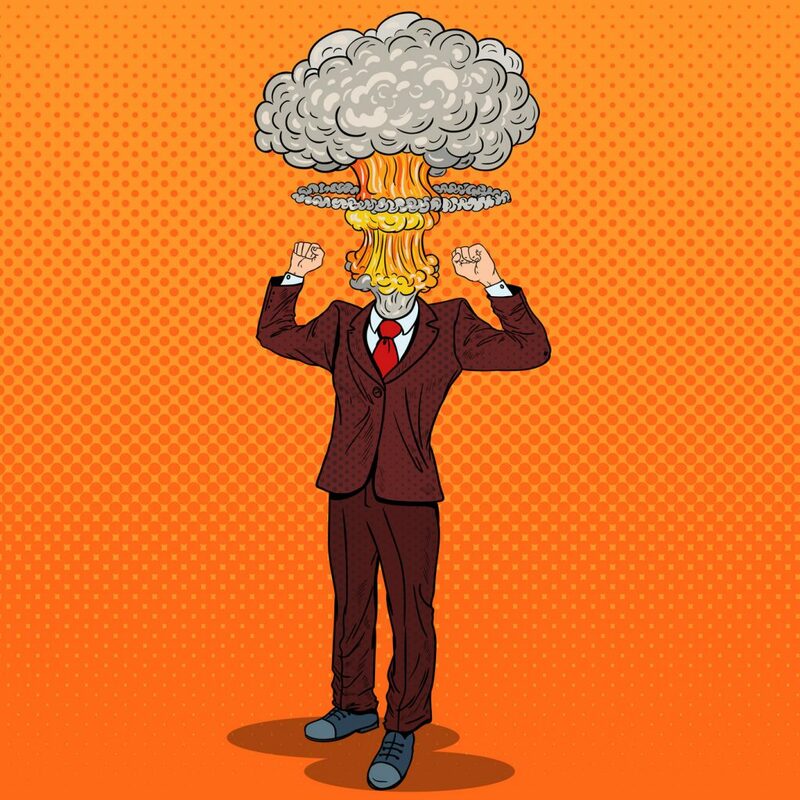 Acetyl L-Carnitine – Might energize the brain for ye olden folk, but for the remaining nootropic population? Hard to say. The evidence suggests it does nothing for young, healthy cognition. Particularly at this small dosage. More on ALCAR. Huperzine-A 1% – Potent semi-synthetic compound, best known for its inhibition of acetylcholinesterase, an enzyme responsible for the breakdown of neurotransmitter acetylcholine. More on Huperzine-A. With regards to clarity, there are two (possibly three) ingredients that stand out: St. John’s Wort and Phosphatidylserine. I consider St. John’s Wort a mind-clarifier for its anti-depressive, pro-mood effect, its serotonergic lifts on the brain potentially lifting the mind out of foggy funks, whereas PS is great at enhancing and stabilizing brain connectivity, particularly in old age. The possible third: Acetyl L-Carnitine — ALCAR seems effective at enhancing brain energy and cognition in older age, so I’d categorically qualify it here for the aged neuroIGNITE users. Ginkgo Biloba. The circulation enhancer accomplishes the focusing aspect of neuroIGNITE for its promotion of working memory, i.e. the cognition involved in figuring the sh** out that’s right in front of you. On a side note, substances that enhance working memory also liken your chances of lucid dreaming, although I’ve yet to see that connection attributed to ginkgo. Three ingredients here, one already mentioned: Bacopa, Huperzine-A, and PS. The Bacopa + Huperzine combo is a smart one: The former seems to promote acetylcholine activity whereas the latter protects acetylcholine levels, potentially synergizing Bacopa’s effects for long-term memory and cognition. PS offers further long-term support on cognition with its protection against age-related neurodegeneration. neuroIGNITE side effects include: Literal ignition. For the most part, neuroIGNITE does what it says it does, and doing it in classy fashion with those potent herbal. However, the low dosages are an issue, beyond Bacopa and St. John’s Wort. Also, the fact that I don’t care about the low doses of a couple ingredients (DMAE, ALCAR) indicates that neuroIGNITE could have chosen better ingredients. Even so, not a bad nootropic stack for the older users looking for an affordable brain health supplement. Bacopa and St. John’s Wort bolster the mind while reducing stress and anxiety, especially at these standardized extracts and dosages. neuroIGNITE takes the high road by eschewing the proprietary blend trend that currently has a hold on the supplement industry. If you buy neuroIGNITE through Amazon, each serving will cost you less than a dollar. That’s a deal, dooood. Not the best nootropics, with exception to Bacopa, PS, and Ginkgo. DMAE and ALCAR limit neuroIGNITE’s demographic by only working for aged cognition. The dosages are questionably bad, sinking below 100 mg for ingredients that need way more than this to work. Magnesium Stearate is a common capsule additive that helps manufacturers produce more pills in less time, but it also diminishes this formula’s overall bioavailability. The simple neuroIGNITE design takes aim at the nootropic community with a wide net, yet its benefits seem particularly geared towards the older consumer. Personally, I only recommend this supplement to older nootropic enthusiasts. You can buy neuroIGNITE through Amazon, eBay, and other top online retailers. Part of neuroIGNITE’s formula works for part of the nootropic community. That’s the best answer I can give to this question, and I’m not entirely confident in this answer: The more I look at neuroIGNITE’s formula — the low dosages, the questionable ingredients — the less faith I have in it. Granted, neuroIGNITE has enough working parts to work, to enhance cognition in one way or another, and it’s cheap enough to qualify as a bargain deal. But compared to the best nootropic supplements currently on the market, it still has quite a ways to go. My recommendation: Try neuroIGNITE for its anti-stress memory boosts, and if it does nothing for you in that department, then move on to a better booster. Thanjs for the great review. Im 50 i use this to focus and stay positive during my busy day. I take two a day or there is NO benefit I can feel. Im looking for something that provides mood, focus, long term memory, protects against degeneration but with a little more kick to keep me alert and keep me going for 10 hours. Any recommendations? I’d perhaps start by checking out my best supplements list for 2019 (link here) — it only lists a few supplements but they’re pretty great. Also, at the top of this site there’s a tab that says “Nootropic Info”. If you click on that, it lists a series of articles that cover the best nootropics to take for a lot of common brain health goals — e.g., nootropics for focus, nootropics for energy, etc. Hopefully that’s helpful.